May. 22, 2015, 10:00 a.m. It seems like there’s at least one festival going on every weekend in the Philadelphia summer. From music to art to neighborhood festivals, entertainment is not hard to come by here. And with other East Coast destinations beckoning a few hours away, you can easily skip town for a day or two and attend other festivals. 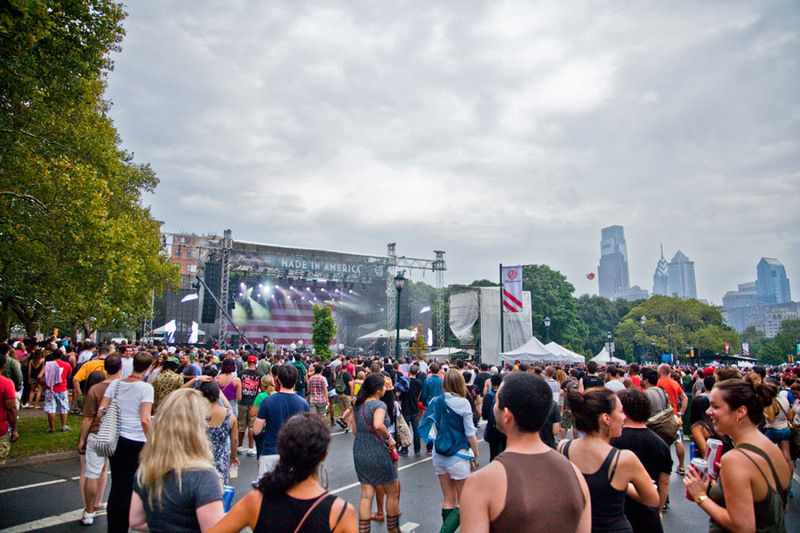 Here is Billy Penn’s guide to the top summer festivals in Philadelphia and beyond. When: May 27, 5:30 p.m.
What: A bar crawl featuring jazz and walks to places like One Tippling Place, Vesper and 1925. What: Various events celebrating cultures ranging from Irish to Islamic. What: A celebration of African culture, featuring food and art. Price: Free. Pay for the food and art. What: Really good food, with leadership from the Food Trust. Price: Free to attend. Pay for the food. What: Hundreds of artist showing and selling their wares in what is the biggest festival of its kind in this area. What: Cool ships — some that are replicas of Revolutionary War era ships — sailing in the Delaware and plenty of eating and drinking opportunities. What: Independence Day activities, plus a free concert from a TBD artist. What: Grace Potter, My Morning Jacket and a good amount of local musicians. What: Considered the Black Sundance, it showcases films about the black experience. Price: Free. Pay for the food and drinks and art. Where: Old Poole Farm in Schwenksville, Pa.
What: The Wallace Brothers, A Fistful of Sugar and all kinds of other folk musicians. What: A concert with big-name artists — most likely. None have been named yet. What: Various kinds of music and tons of hipsters. Drake, Florence + The Machine, The Black Keys and many more artists will be there. What: Jazz music and community engagement, featuring Common, the Cookers, Charlie Hunter Trio, The Bad Plus Joshua Redman and much more. What: Big-time music acts from Paul McCartney to The Killers to Modest Mouse and beyond. What: Like Governors Ball but with country music. Artists include Luke Bryan, Randy Houser and Brad Paisley. What: Basically the most and the best cheese you’ll eat in your life.